If you're looking to add to your KTM OEM powergear collection, our wide-ranging inventory has excellent options, featuring KTM team designs as well as collaborative options with The Kurt Caselli Foundation, Mechanic, Red Bull, and Troy Lee Designs. From apparel and motorcycle gear to bags and smaller accessories, we've got the right selections to fit your style. From adults to babies, our apparel collection has all the KTM options you need to outfit the whole family. Whether you have babies, kids, or both, we offer great items like baby bottles, dummies, and assorted short-sleeve t-shirts. 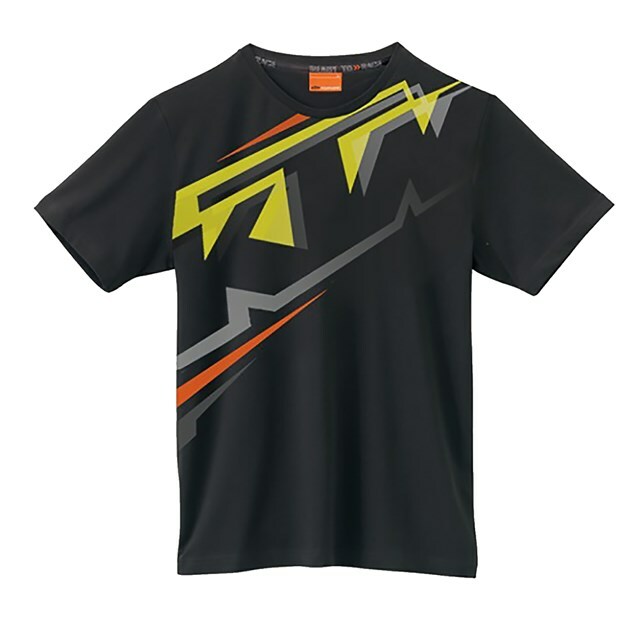 For adult men and women, choose from KTM OEM t-shirts, tanks, shorts, hoodies, jackets, pants, hats, and more. We are also proud to carry apparel from those partnered with KTM like Red Bull, Mechanic, The Kurt Caselli Foundation, and Troy Lee Designs. With this large inventory, you'll easily find the right clothing options you need to hit the streets or go off-road. While on your motorcycle, you need a quality bag that will keep your valuables protected from the elements. These KTM OEM powerwear bags and backpacks are designs to fit securely on your back. We even offer goggle boxes, made specifically to house your goggles and fit into your larger backpack. No matter what size and style bag you need, we've got the right options. Heading off to the trails or dirt track? Offroading means you'll need more protection from flying debris, potential crashes, and dusty tracks. Whatever the case may be, we've got the apparel and equipment to perfectly fit your needs. From jackets and pants, to racing goggles, boots, and helmets, you'll be ready to offroad in your new protective KTM OEM powerwear. If you plan to ride highways or around your city, you'll need street gear to protect yourself from airborne debris, other drivers, and the weather. Our street apparel and equipment is specifically designed to offer a comfortable yet secure and stylish look, so you'll be able to find the right items here in this section. Whether you need a new helmet, pair of boots or shoes, or riding pants, we've got everything you need to cruise down asphalt roads. We even offer greater defensive options, like back and cheek protectors, as well as helmet side mirrors. Even when your motorcycle is away for the day or night while you're at work or spending time elsewhere, you can show off your support for KTM with our lifestyle accessory options. From mugs to bottle openers and can coolers, to keychains, phone cases, and chairs, we have everything you need for everywhere that life takes you. If you love the KTM team, you can showcase them at in your office, in the home garage, or anywhere else. Our KTM OEM powerwear inventory has the right options for apparel, motorcycle gear, bags, and lifestyle accessories. Whatever you're searching for, we've got it. Find it here today!